Missouri Gov. 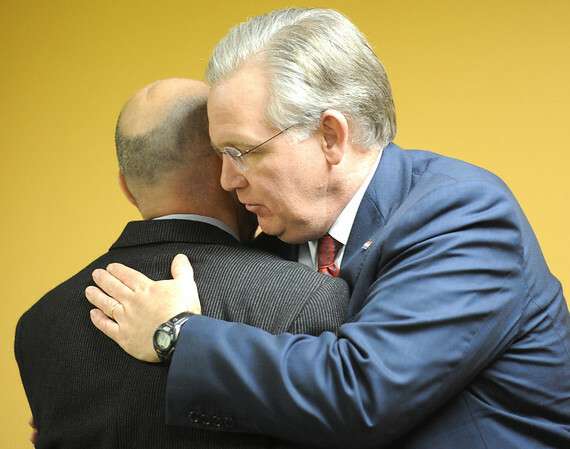 Jay Nixon hugs Mark Norton, father of Will Norton, at Will's Place, a healing center for kids and part of Ozark Center, on West 30th Street in Joplin Tuesday afternoon, Jan. 10, 2012. The facility is named after Will Norton, a Joplin High School student who had just graduated May 22, 2012, before the tornado took his life.